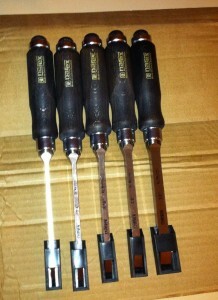 Today was an early Christmas as my new set of Mortise chisels arrived from Lee Valley. I’ve always been curious about the Narex chisels from out the Czech Republic, I’ve always been held up by the fact that there are millimeter standard sizes, rather than our own archaic inch system. I know I could work around that, but it held me up from ordering. Then I read about this special deal that Lee Valley was doing for Mortise Chisel set for $40 – $50 (I can’t remember exactly how much, but affordable) that was limited time offer, special buy. I’ve managed to scrounge up a total of three mortise chisels so far, all of different sizes and quality, none of it good. All of them needed work to get to user status, and I was never quite happy with them. 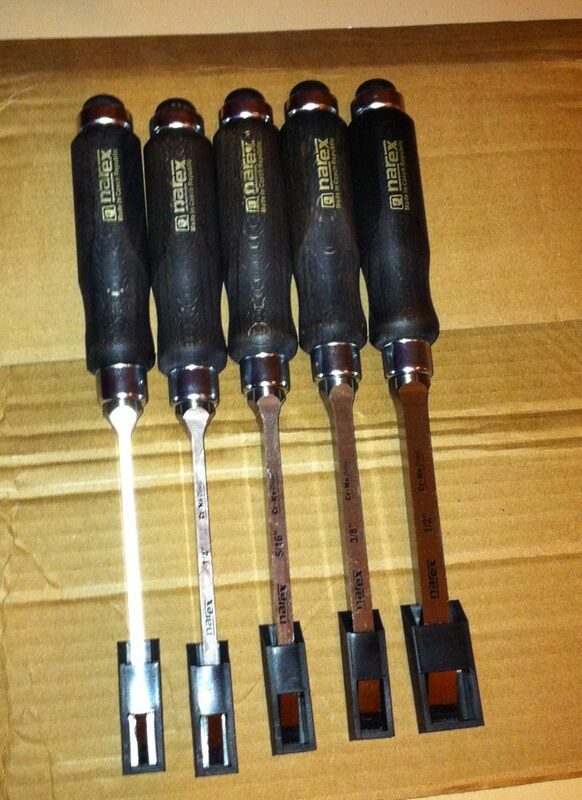 These Narex chisels are great, they a well crafted, and look like they will be fantastic additions. Plus at the price I’m never going to find it’s equal. Now to chop some mortises? I’ve gotten some wood for a side table, and I think I know what I’m going to be doing Christmas break!